Periodically Beyond Your Blog asks members of our Facebook group to post their best work that has been featured outside of their personal blog. Guest editors select five favorites (in the areas of humor, non-humor, how-to/informational, reported stories & essays and editor’s choice) to be featured on this page and we also promote them in our newsletter and on social media. The author also gets bragging rights and our adoration! Scroll through and enjoy some of the best writing from bloggers showcased around the web! (EDITOR’S CHOICE) Rudri Bhatt Patel is a lawyer turned writer and editor. She is the co-founder and co-editor for the literary journal, The Sunlight Press and on staff at Literary Mama. Her work has appeared in The Washington Post, ESPN, Brain,Child Magazine, Role Reboot, Mothers Always Write, Parent.Co, Phoenix New Times, Raising Arizona Kids and elsewhere. 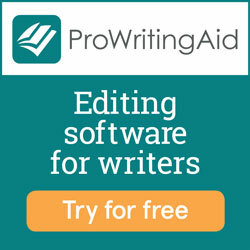 Rudri also provides individual editing and coaching services for writers. Follow her on Twitter and Facebook or her website, Being Rudri. Interested in writing for The Sunlight Press? Here are the submission guidelines. (HUMOR) Kaye Curren has returned to writing after 30 years of raising two husbands, two children, two teenage stepchildren, three horses, umpteen dogs and cats, and several non-speaking parakeets. She used to write computer manuals but now writes articles, reviews, humor essays and memoir. She is originator of Women Writers of Ann Arbor/Ypsi to encourage women writers to step out and be counted. Her essays have been recently featured on LiteraryMama.com, DivorcedMoms.com, SheKnows.com, SheWrites.com and humorwriters.org. Her essay on aging was one of six initially picked for an upcoming Erma Bombeck tribute anthology. You can find her musings on her website/blog at www.writethatthang.com. (PERSONAL ESSAY) Lauren B. Stevens is a freelance writer and editor, specializing in creating content for businesses. In her spare time, Lauren dabbles in creative nonfiction, and her essays can be found online (Good Housekeeping, xoJane) and in several print anthologies (most recently Chicken Soup for the Soul: Military Families). When she’s not working, Lauren enjoys hiking, reading YA fiction and going on day trips with her husband and son. (INFORMATIONAL/HOW-TO) Leah Fisher Nyfeler occupies all sides of the writing desk. Former editor in chief of Austin Fit Magazine, she knows print and digital publication management and content strategy, information she now employs as communications manager for Austin’s Top Trip Rentals. As a freelance writer and editor, she enjoys the diversity of clients and jobs (editing for Greenleaf Book Group and writing for Texas Lifestyle Magazine, among other print and digital publications). Leah’s passion: Enjoying the Journey: Observations on the Fit Life where, with enthusiasm and humor, she blogs about midlife, wellness, and workouts. Please read and follow her on social media (@leahruns100), her addiction of choice, where she shares entirely too much and promotes Freelance Austin’s monthly speaker programs. (REPORTED STORY/ESSAY) Susan Maccarelli created BeyondYourBlog.com, and is a recognized expert on going from personal blogger to published writer. Beyond Your Blog offers tips for getting published, directories of writing opportunities, interviews with editors, the Submission Savvy e-course and more. Susan’s interviews include editors from the New York Times, Chicken Soup For The Soul, The Washington Post, and dozens of other publications. She has been published on many websites and anthologies, and spoken at conferences including BlogHer, ASJA, and Bloggers at Midlife. (EDITOR’S CHOICE) Marcelle Soviero is the owner and Editor in Chief of two award-winning literary magazines — Brain, Child Magazine, The Magazine for Thinking Mothers, and Brain Teen Magazine, The Magazine for Thinking Parents. A writer as well, her essays have been published in numerous publications and radio programs including The New York Times, Salon.com, Eating Well, Creative Nonfiction and The Rumpus, and featured on The Story on National Public Radio. She is also a writing coach and writing teacher in Westport CT. Brain Teen is available for purchase here. Interested in writing for Brain, Teen? Submission information for Brain Child and Brain Teen can be found here. (PERSONAL ESSAY) T. T. Robinson is a writer, Navy spouse and mom. She is the managing editor of Military.com‘s SpouseBuzz, a political correspondent for NextGen MilSpouse and the author of the New York Times Deployment Diary, which earned her a 2016 Voice of the Year award from BlogHer. T. T. is also the creator of Humans on the Homefront, telling the stories of our men and women in uniform and the people who love them. (INFORMATIONAL/HOW-TO) Leah Fisher Nyfeler explores all aspects of an active lifestyle in her blog Enjoying the Journey: Observations on the Fit Life, investigating topics from workout motivation to midlife changes with enthusiasm and a touch of humor. A writer, editor, and speaker, Leah is the former editor in chief of Austin Fit Magazine who now enjoys freelancing; her articles appear in a variety of online and print publications (Texas Lifestyle Magazine, Midlife Boulevard, The Austinot), and she’s excited to work as an editor for Greenleaf Book Group. In January 2017, Leah will be sharing insights and facilitating discussion at #BlogathonATX, hosting a roundtable discussion: “Building the Blog of Your Dreams.” Leah lives in Austin, TX, where she relishes working out with friends, eating fabulous food, crafting a good sentence, and reading just about anything she can get her hands on. (REPORTED STORY/ESSAY) Leigh Shulman has been writing and traveling for as long as she can remember. Her work has been featured in The New York Times, The Huffington Post, The Guardian, The Establishment, Guernica, Mashable and many other publications. She’s published 2 books and has taught at Barnard College, CUNY, Yeshiva University, the Brooklyn Academy of Music plus countless other programs. Now, she spends her time coaching women 1:1 and at amazing writing retreats because she wants to help more women feel confident with their writing, finish their masterpieces and build professional careers! Leigh offers The Writer’s Process, an online writing academy, 1 on 1 consulting, Creative Revolution Writing Retreats, and mentorship. Learn more HERE. Special thanks this month to guest editors Julianne Palumbo, Sarah Clayville, and Michelle Riddell. Julianne Palumbo’s poems, short stories, and essays have been published in Literary Mama, Coffee+Crumbs, MomBabble, Kindred Magazine, Poetry East, Mamalode, Manifest Station, Rust + Moth, and others. She is the author of Into Your Light (Flutter Press, 2013) and Announcing the Thaw (Finishing Line Press, 2014), poetry chapbooks about raising teenagers. Julianne was nominated for a Pushcart Prize in 2013 for her poem “Stuffing Lockers.” Her essay will be included in the upcoming HerStories Anthology, So Glad They Told Me. She is the Founder of Mothers Always Write, an online literary magazine for mothers, publishing poetry and essays by mother writers. Julianne also provides individual editing/coaching services to writers. Connect on Facebook. Sarah Clayville is an author, freelance editor, and Creative Writing teacher. Her work has appeared both online and in print. A Pushcart Prize nominee and poetry and nonfiction editor for Mothers Always Write, she is at work on a novel and poetry collection for young adults. Born and raised in Detroit, Michelle Riddell began her writing career in the automotive industry, creating service manuals. She now lives with her family in rural mid-Michigan on a very bumpy dirt road, surrounded by farms. Her bylines have appeared in print and online magazines including MomSense, Hello,Darling, The Mid, Mamalode, Sammiches & Psych Meds, and The Good Men Project. She is a reviewing editor at Mothers Always Write and a rock-star substitute teacher at her daughter’s elementary school. Special thanks this month to guest editor Tracy Line. Tracy has written freelance articles for magazines, newspapers and the web for nearly two decades. Be it a how-to on surviving the toddler years, the latest trends in plastic surgery, or the ins and outs of bathing a cat, she’s written about it. Her work has appeared in over 75 publications, including Babyzone.com, Atlanta Parent, Internet Café Devotions, Kit, and P31 Woman magazine. Tracy has also had a number of creative essays published in various anthologies. Her first book, Chasing God, Finding Faith from the Outside In was released in July of 2015 (Hawthorne Publishing). Tracy blogs about life, family and faith at TracyLine.com. Special thanks this month to guest editor Kimberly Starr. Kimberly Starr is an award winning writer, ginger, mom, and recovering chocolate addict living in Utah. Her writing has been featured on the Huffington Post, the International Blogger’s Association, and MoneySavingMom.com. Kim works as a copywriter and editor at Protean Writer, where she manages a team of writers. She is also the Director of Marketing for the International Bloggers Association. Kim is also the designer of a niche product for women on the go, moms, and moms-to-be: performance grade compression socks that are actually cute. Cute Compression Socks can help prevent tired, painful legs; swollen feet or legs; varicose veins; and more. Details, designs, and deals are available at Cute Compression Socks. You can find Kim on her blog, Protean Mom. Beyond Your Blog founder Susan Maccarelli made selections for the month of March 2016. 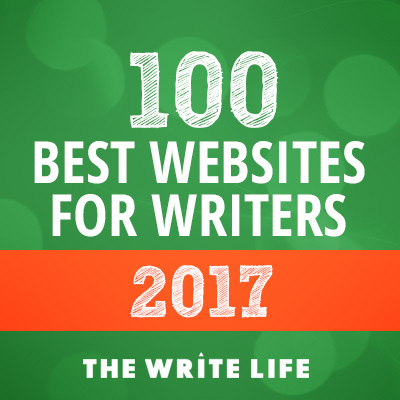 Susan is the creator of Beyond Your Blog, a resource site that focuses on helping bloggers and writers successfully submit their writing to websites and anthologies. Susan’s weekly podcast interview guests to date include editors from Washington Post, Hearst Digital’s The Mix, The New York Times, The Huffington Post, Brain, Child, Chicken Soup For The Soul, and many more. A guest instructor for The HerStories Project’s “Publish Your Personal Essay Writing Bootcamp”, Susan also offers consulting services related to writing submission strategy. She authors a humor blog, Pecked To Death By Chickens, and feeds her attention-seeking behavior by having her submissions featured on such sites as The Huffington Post, In The Powder Room, Scary Mommy, Mamalode and many others. Susan has also been published as a contributor in several anthologies, including I Still Just Want to Pee Alone, and has spoken at conferences and events including BlogHer ’15, International Bloggers Association, BlogU 2016, and BAM conferences. Special thanks this month to guest editor Norine Dworkin-McDaniel. Norine worked in newspapers and magazines for more than 25 years as a senior staff editor and full-time freelance writer. Her articles and essays have been published in a broad range of print and online publications, including Marie Claire, Redbook, Woman’s Day, Family Circle, Fitness, Parents, Food & Wine, Good Housekeeping, Prevention, Shape, Health, Readers Digest, Forbes FYI, Parenting.com and Dr. Oz’s Good Life, along with American Baby and More magazines where she was a contributing writer for many years. In 2013, Norine created the illustrated humor blog Science of Parenthood with Jessica Ziegler, named one of Parenting.com’s “blogs every parent should read.” Together they’ve published three books, including The Big Book of Parenting Tweets and The Bigger Book of Parenting Tweets. Their latest book is Science of Parenthood: Thoroughly Unscientific Explanations for Utterly Baffling Parenting Situations, was published by She Writes Press in November 2015. Connect on Facebook, Twitter and Pinterest. Special thanks this month to guest editor Diane Owens. Diane publishes her blog – Thoughts, Tips and Tales, where posts focus on a variety of fitness activities, how to save money, cruising solo, embarrassing moments, life lessons, thrift store treasures, fun fundraising ideas, bad date stories and more. She created and manages the internal communications blog at a large, worldwide company. This woman loves to blog! She manages the blog at work 40 hours a week and serves as the newsletter editor as well. She then comes home and reads blogs and writes blog posts in her spare time. Diane is the co-author of an out-of-print book called Kids on the Go: Great Places to Take Kids in the Charleston Area, which sold 5,000 copies to local moms and visitors in the Charleston, S.C., area. After hosting her son’s wedding, Diane wrote a book called Budget Wedding Secrets: How to Have a $30,000 Wedding for Less Than $10,000. Connect with Diane on Email, Twitter, and Pinterest. Special thanks this month to guest editor Rona Simmons. Rona Simmons Writer and Author sponsors the Virtual Village Book Festival from her Facebook page. Through this free online chat format, she invites readers and writers and anyone who loves books to interact with a different author each month. Attendees can post questions to the featured author at any time during the two day event and then sit back and enjoy the back and forth. To attend a future event or to be considered as a featured author in the future, contact: rona_simmons[at]bellsouth[dot]net. Rona has acted as ghostwriter for the biography of a prominent Atlanta businessman and written magazine articles, a collection of short stories, and two novels: The Quiet Room and Postcards from Wonderland, published by Deeds Publishing of Athens, Georgia. For her next novel, a work in progress, she’s picked a topic ripped from today’s headlines and set in the present day South. Rona also “slow blogs” about women in the creative arts at Women @ Word. Connect on: Facebook, Twitter, and Pinterest. Special thanks this month to guest editor Jill Robbins. Jill is an award winning writer, mom and wine snob living in San Antonio. She’s a regular contributor to Babble, The Washington Post, She Knows, and other places around the internet. She has a degree in social psychology that she uses to try and make sense out of the behavior of her husband and three children but it hasn’t really helped so far. She enjoys dry humor and has a love/hate relationship with running. Jill is a published author with essays appearing in three parenting anthologies and two print magazines, including Martinis and Motherhood, Tales of Wonder, Woe and WTF and Mothering Through the Darkness. She’s also the producer of the San Antonio LISTEN TO YOUR MOTHER Show. Jill offers editing and blog coaching services, and can find her on her blog, Ripped Jeans & Bifocals. Follow Beyond Your Blog’s board BYB Hall of Fame on Pinterest.